M/s. 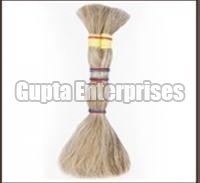 Gupta Enterprises, the largest and the Top Export Award Winners for Indian Human Hair for the last 12 consecutive years. A Government of India recognised Export House, Exporting Top Class Indian Human Hair for over 35 years to over 30 Countries in the World. Our Moto : Quality, First, Last and Forever. Our Strength : Procurement, Processing, Expertise and Stewardship of Mr. M. M. Gupta, the pioneer revolutionary in the Human Hair Industry. Hundreds of Satisfied Customers around the globe..
We specialize and supply all types of Indian Human Hair. Single Drawn, Double Drawn, Special Single drawn or Remy Double drawn in both regular and curly. 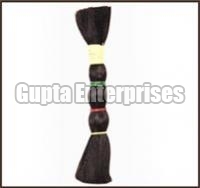 Natural colors of Indian Human Hair - Black, Grey, Brown, Light Brown, Light Grey and White. Sizes varying from 6" to 32" in several combinations as per the customers requirement. We cater to the complete requirement of our customers who are widely involved in manufacturing Wigs, Toupees, Hair Extensions, Hair Pieces, Hair Weavings and for several other products spread over continents. Apart from the above, we are also very popular in supplying large quantities like 500 Mt. of Barber Cutting and Similar Short hair called Thukku used in the manufacture of El-Cystine.